It's been almost two months since the release of Android Pie and one would expect the latest version of the Android OS to have made its way into a decent number of devices. Apparently not. 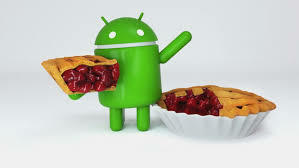 Android Pie was released on August 6, just under two months ago. In typical fashion, though, the latest version of Android is yet to get to any significant portion of the market, with Google Play analytics for the past week showing Android Pie with a nonexistent distribution. According to the released data, Android Nougat is the most popular version of Android with a 29.3% market share and Marshmallow comes in second with 21.6%. Rather surprisingly, the fact that all new devices now ship with Oreo at least has ensured that Android O finally sees a boost in its market distribution, taking it up to third place with a 19.2% market share. Lollipop comes in fourth just below Oreo with 18.3% of the market, and Kitkat completes the top five with 7.8%. Android Pie having no notable market share is about par, of course. The number of devices running on Android Pie remains extremely limited. At the moment, only Pixels, the Essential Phone, Nokia 7 Plus, OnePlus 6, and a few Xiaomi flagships can lay claim to running on an official Pie build, which is just atrocious. In juxtaposition, iOS 12 has made its way to all iPhone models released in the last five years. Of course, the fact that the list of relevant iPhones contains just over a dozen devices helps.